The National Bank of Ukraine (NBU) expects that two tranches of the rest of $2.6 billion of the 14-month Stand-By Arrangement (SBA) of the International Monetary Fund (IMF) opened in December 2018 would arrive in 2019, Governor of the NBU Yakiv Smolii has said. “This year we expect two tranches of $1.3 billion each: one in May and another in September. Accordingly, these funds will be sent to foreign exchange reserves,” he said at a press conference. The head of the NBU recalled that the first tranche of the SBA was $1.4 billion and was provided in December last year. 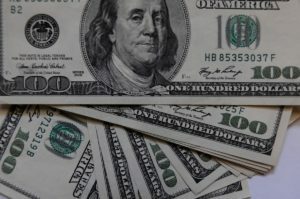 Smolii said that last year, thanks to $2.4 billion from international partners (the IMF, the European Union and the World Bank) in reserves, the country’s forex reserves increased by $2 billion and reached $20.8 billion – highest figure for the last five years. As reported, on December 19, 2018, the Executive Board of the IMF approved a new 14-month SBA. The new SBA, with a requested access of SDR 2.8 billion (equivalent to $3.9 billion), will provide an anchor for the authorities’ economic policies during 2019. A total of SDR 1 billion (around $1.4 billion) were provided at once, and the rest of the funds will be provided after the six month reviews.